PAY to go, come back for just a dollar. 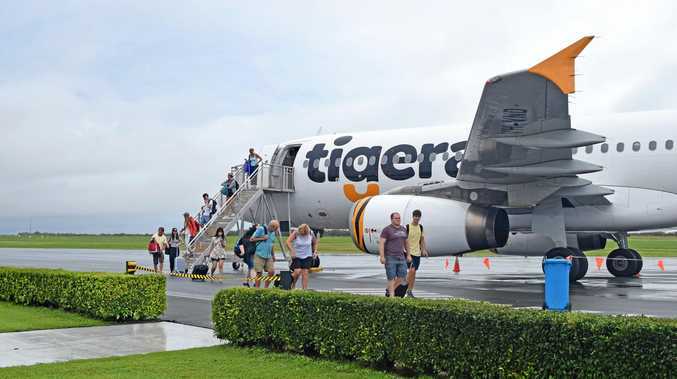 Tigerair is again offering its popular $1 return fare deal from just about all of its destinations -- for two days only. Meanwhile, a huge Click Frenzy sale is due to start online from 7pm Tuesday, promising amazing deals on flights, hotels, packages, tours, experiences and more. The deals include a 77% off villa stay in Bali, South Pacific Cruises starting at $99 a night, nine-day tours in Asia starting from $666 per person and a Caribbean cruise that will save you 40% off. But if you want to take part, you'll have to subscribe to Click Frenzy before the sale begins. Click Frenzy Travel runs from 7pm AEST on Tuesday, August 21 until 7pm AEST on Wednesday, August 22 at clickfrenzy.com.au.